Human Engineers | In addition to a whopping salary hike, the 7th Pay Commission has also recommended several new aspects for the structure. Home/Hr News/In addition to a whopping salary hike, the 7th Pay Commission has also recommended several new aspects for the structure. In addition to a whopping salary hike, the 7th Pay Commission has also recommended several new aspects for the structure. The entry-level salary of a peon with the Central Government was Rs 7,000. The Seventh Pay Commission has recommended that the minimum salary of a Class IV employee should be Rs 18,000, which is 2.57 times that of the previous salary.Similarly, those in the higher administrative grade, who drew a salary of Rs 67,000 will now get Rs 1.82 lakh. The salary of a cabinet secretary, the highest paid official in the government machinery will be raised from Rs 90,000 to Rs 2.5 lakh. On an average, the Seventh Pay Commission has recommended a 23.55 per cent increase in pay and allowances for all Central Government employees, defence and paramilitary personnel. All of these would put an extra burden on the Government amounting to over Rs 100,000 crore. The rate of annual increment is being retained at three per cent. 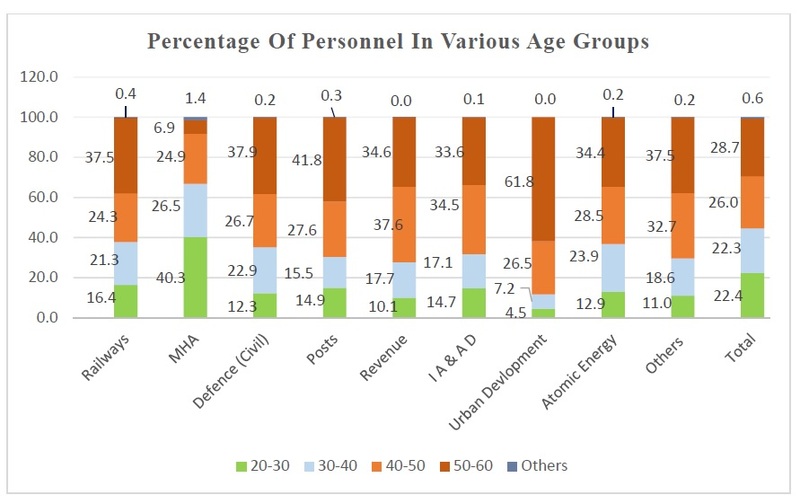 One of the notable aspects of the present deployment of Central Government personnel is that security-related entities (Ministry of Home Affairs/Police and Defence Civilians) form a large part of civilian employment at 13.78 lakh, as on 01 January, 2014. Railways and Posts performing a commercial function employ another 15.06 lakh personnel. The total Central Government employment other than those in security-related or commercial departments is 4.18 lakh. Retiring personnel in a number of ministries/departments are substantial and this presents two sets of implications. At one level, losing experienced high- level personnel entails unquantifiable costs as new recruits will require training and on-the-job skills. At the same time, it provides ministries/departments the opportunity to align their personnel requirement to their current and future challenges. The Commission has said that there is a specific need to emphasise on Minimum Government and Maximum Governance, harping on the concept of a lean bureaucracy with more skilled people. There is also a definite need to harmonise the functioning of the Central Government with the demands of the emerging global economic scenario. This Commission had to consider all these factors while finalising the compensation structure for the Central Government employees. (i) Pay should be sufficient to attract and retain high-quality staff. (ii) Pay should motivate staff to work hard. (iii) Pay policy should induce other human resource management reforms. (iv) Pay should be set at a level to ensure long-term fiscal sustainability. The real challenge before this Commission was to provide a pay structure which was competitive, yet affordable; attractive, yet acceptable; forward looking, yet adaptable; simple, yet rational. They had to come up with a structure that matched the current socio-economic and political conditions, and at the same, was in sync with the changing perception of the overall administrative machinery and the public governance system. The Commission accepted that over the years, due to downsizing of bureaucracy, issues relating to diminishing, or in some cases, non-existent promotional avenues have impacted the employees motivational levels. To address this problem, various schemes of assured career progression have been introduced by previous pay commissions. It is now one of the major aspirational challenges spurring work efficiency and which needs to be acknowledged by the Pay Commission. The emoluments structure is now expected to provide scope for career advancement, by way of financial upgradation at reasonable intervals, so as to keep the workforce motivated. The Commission has opined that there is strong need to create a culture of performance in government â€“ from establishing standards of performance, to measuring, and promoting people based on performance. To emphasise on the culture of performance, the Commission has recommended that all the non-performers in the system should be phased out after 20 years. The Commission has recommended that Performance Related Pay should be introduced in the government and that all bonus payments should necessarily be linked with productivity. Is the Government meant to Serve or to Rule ?